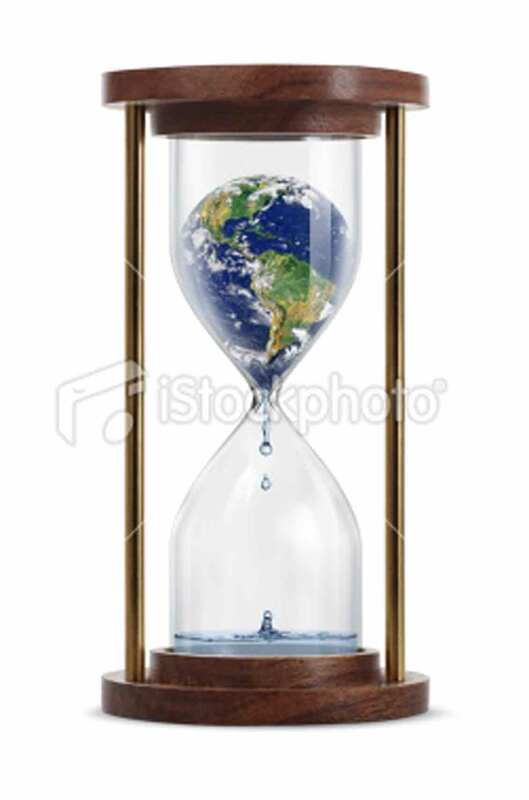 Melting world globe inside the hourglass. Earth transform into a water. Isolated on white background.